(Clarion, PA) Though he swears he never sought the attention, David H******n says he knew it was inevitable that his bizarre habits would bring him national attention one day. The Western Pennsylvania high-school freshman says doing the unexpected comes easily to him. Despite relentless pressure from his peers to fit in by snorting, ingesting, or using the pod as a suppository, David says he felt compelled to go his own way. Despite extracting a promise from David to be more normal, his mother fears his wacky behavior will still be regarded as too ‘out there’, and he could be taunted at school. 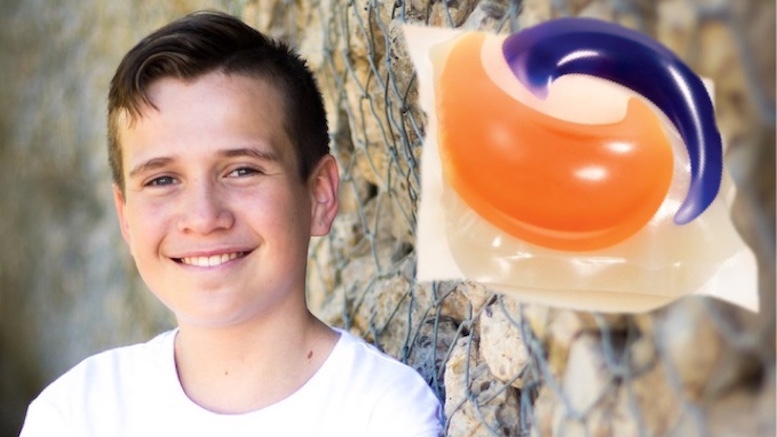 Be the first to comment on "Unconventional Teen Uses Laundry Pod To Clean Clothes"